(Photo courtesy BYUtv) Joel McCrary stars as Baldric, Sloan Morgan Siegal stars as Dwight, and Caitlin Carmichael stars as Gr... (Photo courtesy BYUtv) Joel McCrary stars as Baldric, Caitlin Carmichael as Gretta, and Sloan Morgan Siegel as Dwight in “Dwi... (Photo courtesy BYUtv) Sloan Morgan Siegel stars as the title character in “Dwight in Shining Armor.” (Photo courtesy BYUtv) Caitlin Carmichael stars as Princess Gretta in “Dwight in Shining Armor.” (Photo courtesy BYUtv) Sloan Morgan Siegel, right, stars as Dwight in BYUtv's new show Dwight in Shining Armor. (Photo courtesy Chris Frawley/BYUtv) Joel McCrary, Caitlin Carmichael and Sloane Morgan Siegel star in “Dwight in Shining Arm... (Photo courtesy BYUtv) Dwight in Shining Armor will premiere this spring on BYUtv. 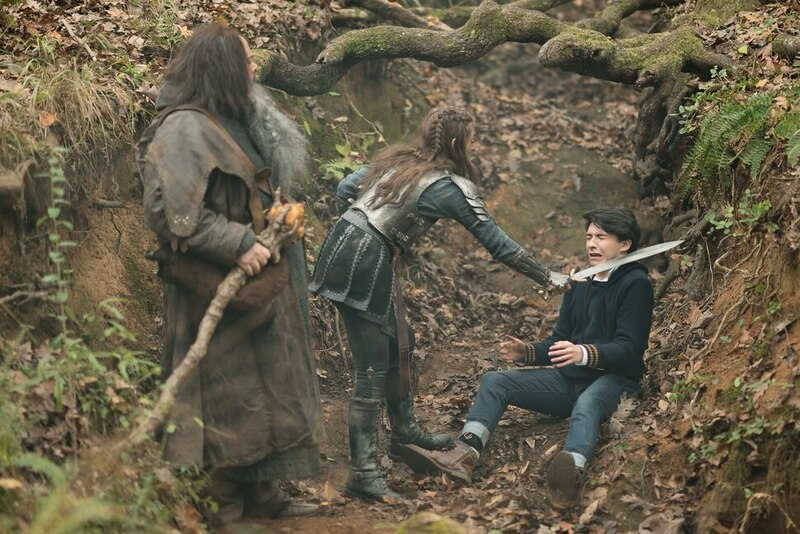 (Photo courtesy BYUtv) Joel McCrary stars as Baldric, Sloan Morgan Siegal stars as Dwight, and Caitlin Carmichael stars as Gretta in BYUtv's new show Dwight in Shining Armor. (Photo courtesy BYUtv) Joel McCrary stars as Baldric, Caitlin Carmichael as Gretta, and Sloan Morgan Siegel as Dwight in “Dwight in Shining Armor.” (Photo courtesy BYUtv) Sloan Morgan Siegel stars as the title character in “Dwight in Shining Armor.” (Photo courtesy BYUtv) Caitlin Carmichael stars as Princess Gretta in “Dwight in Shining Armor.” (Photo courtesy BYUtv) Sloan Morgan Siegel, right, stars as Dwight in BYUtv's new show Dwight in Shining Armor. 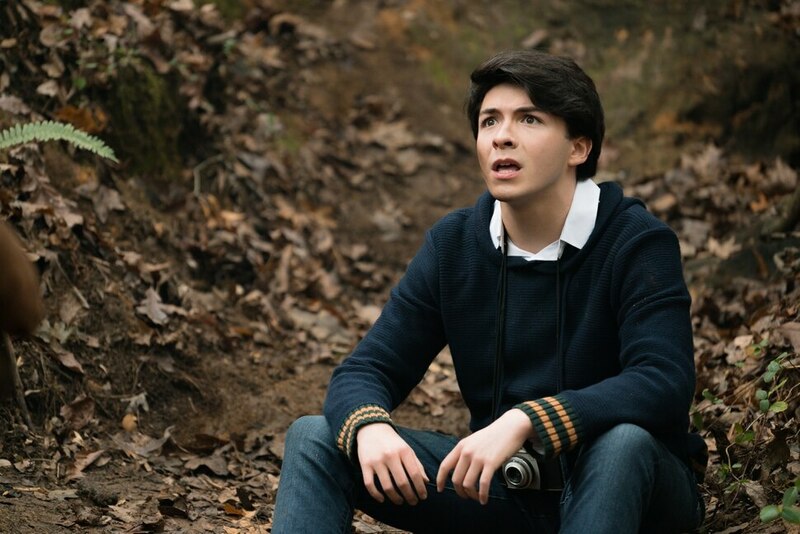 (Photo courtesy Chris Frawley/BYUtv) Joel McCrary, Caitlin Carmichael and Sloane Morgan Siegel star in “Dwight in Shining Armor.” (Photo courtesy BYUtv) Dwight in Shining Armor will premiere this spring on BYUtv. The title character in BYUtv’s new series “Dwight in Shining Armor” isn’t the one wearing the armor. Dwight (Sloane Morgan Siegel) is a somewhat nerdy teenager whose life suddenly changes when he falls through a hole in the ground ... and lands on a princess who’s been magically slumbering for 1,000 years. Their accidental lip-lock awakens Princess Gretta (Caitlin Carmichael), who is no damsel in distress. While Dwight talks his way out of trouble, she wears armor and wields a sword at it. The show, which premieres Monday at 7:30 p.m., is the newest offering from BYUtv and was produced mostly in Utah. It’s an amusing — sometimes even laugh-out-loud funny — fish-out-of-water comedy, with medieval characters adjusting to the modern world. Dwight has also awakened Baldric (Joel McCrary, “The Princess Diaries”), the wizard who cast the spell to protect the princess, and a variety of magical foes — evil knights, ogres, dragons, witches, demons and more. And he has unwittingly signed on as Princess Gretta’s champion, despite his lack of martial skills. Co-creators and executive producers Brian J. Adams and LeeAnne H. Adams came up with the idea eight years ago, and they originally conceived of it as an animated show. They admit they were hesitant when BYUtv — which is owned by Brigham Young University, which is owned by The Church of Jesus Christ of Latter-day Saints — expressed interest. And that ownership has led to unusual accommodations. But the couple are Latter-day Saints, married for 18 years after meeting at BYU. So they get it. “And we haven’t found that those things inhibit our storytelling at all,” Brian Adams said. To be clear, “Dwight in Shining Armor” is not a religious show. If you just happened across it, you’d never guess that there’s anything even vaguely LDS about it. “There are no praying scenes. … There’s no secret, slip-a-Book of Mormon in the background or anything like that,” Brian Adams said with a laugh. They’ve never been asked to insert anything LDS into the show, they said. “And if it were that way, well, we wouldn’t want to be involved in it,” Brian Adams said. The show’s three stars aren’t Latter-day Saints. Siegel had never heard of BYUtv; Carmichael said she “wasn’t very familiar” with the channel; McCrary thought he was auditioning for Nickelodeon. But “Dwight” wouldn't be out of place on Nickelodeon or the Disney Channel. The production values are good; the cast is talented; the writing is better than a lot of shows aimed at young viewers. And, despite criticism BYUtv has received for the perceived lack of diversity in its programming, there is ethnic diversity in the supporting cast. There are no gay characters, but then there are no gay characters in the vast majority of shows aimed at teens and tweens — the made-in-Utah “Andi Mack” is a notable exception. “There might be the occasional moral lesson in the show,” LeeAnne Adams said, such as messages about friendship and loyalty and standing up for what’s right. BYUtv managing director Michael Dunn said he ordered “Dwight” because it fits into the audience the channel is targeting: kids ages 8 to 15 and their parents. It’s aimed at young viewers, but it’s not one of those shows that entertains kids and drives parents out of the room. “We’ve tried to create a world here that is big and broad and open and full of adventure and mystery that people want to continue coming back to explore,” LeeAnne Adams said. The pilot for “Dwight in Shining Armor” was filmed in Georgia, but production moved to West Valley City for the remainder of the 19 first-season episode — into a working bread factory. “I don’t know if that’s fun and quirky and cool or just too weird,” Brian Adams said. “It is amazing to smell fresh, warm bread. That’s a nice welcome on an early call time,” Carmichael said with a laugh. And a nice change. The pilot was shot in an abandoned drill-bit factory in Augusta, Ga., that was covered in oil, had no working restrooms and “holes in the ground you could actually fall in,” LeeAnne Adams said. “As far as expectations of coming here, I had none,” Siegel said. “I knew nothing about the state. Nothing about Salt Lake itself. And I was delightfully surprised.